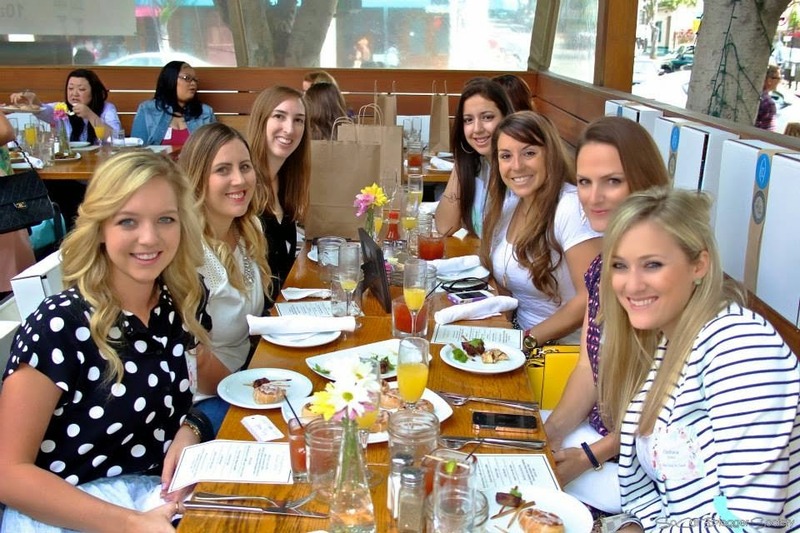 Last Sunday SoCal Blogger Society had its first blogger brunch! 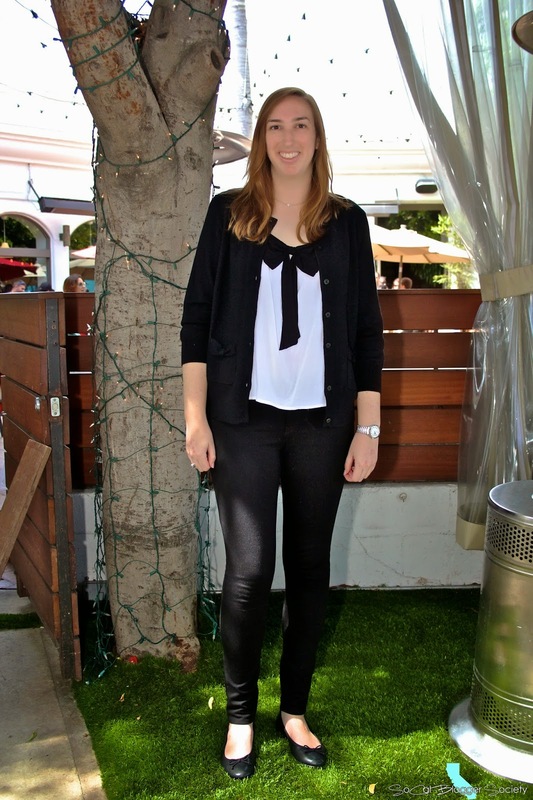 Over 30 bloggers attended the brunch at Areal in Santa Monica. The food was SO GOOD! I had way too many mini cinnamon rolls, the Belgian Waffle, and then a piece of chocolate cake. PLUS bottomless mimosas (a Sunday brunch essential I think). Areal has a great outdoor patio that is perfect for dining al fresco and then you can walk down to the beach after! 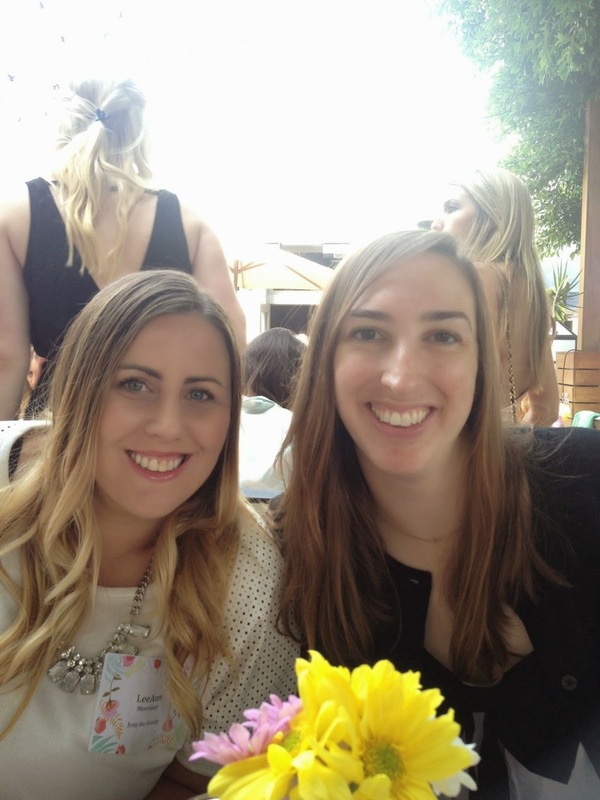 If you are in Southern California then I highly recommend joining SoCal Blogger Society. There will definitely be more events in the future! I love the back of that cardi! It looks like such a fun brunch! I can't resist the bows! Hey it was unexpectedly cool in the shade that day! I am glad we could catch up! Your outfit is so cute. I love that cardigan!! I wish Seattle had fun blogger events. We're all very antisocial up here. Haha! Well I had my security blanket (aka Leeann) with me otherwise I would be antisocial too! Had such a good time!!! Can't wait for the next event! BTW I never noticed the back of your cardigan had bow ties but it's super cute!!! So nautical Kate! Great to meet you! Excited to hear how the wedding planning is going next time I see you!